Tomáš Straüssler was born in 1937 in Czechoslovakia, and he arrived in India as a refugee when he was four years old. He lived there from 1942 to 1946, and he learned English while attending a school in Darjeeling run by American Methodists. While in India, his mother met Kenneth Stoppard, a major in the British Army, who brought the whole family back to his home in Derbyshire, England. His mother and Major Stoppard married, and Tomáš adopted the name he uses today. Stoppard did not enjoy school and dropped out when he was 17, taking a job at the Western Daily Press, a newspaper in Bristol. He hoped to pursue a career in journalism, but while working as a critic, he fell in love with the theater. 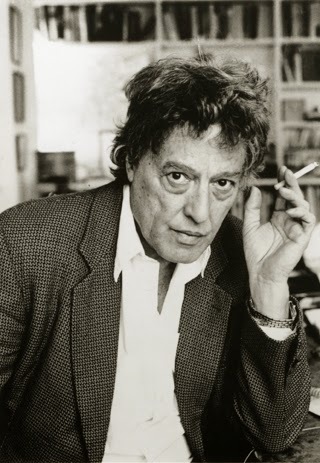 His first play, A Walk on the Water, introduced him to the agent Kenneth Ewing, who provided Stoppard with the inspiration for Rosencrantz and Guildenstern Are Dead. The National Theatre in London produced Rosencrantz and Guildenstern Are Dead at the Old Vic in 1967, and later that same year, the play moved to Broadway. The reviews were overwhelmingly positive, and the production won the Tony Award for Best Play. Stoppard was just 27 years old. I suddenly worked this out: I write plays because writing dialogue is the only respectable way of contradicting yourself. I’m the kind of person who embarks on an endless leapfrog down the great moral issues. I put a position, rebut it, refute the rebuttal, and rebut the refutation. Forever. Endlessly. In another interview, he said that he wanted to write about “the ethics of empire.” Whichever came first, the two ideas—empire and the circular relationship between painter and poet—coalesced in In the Native State, which aired in April 1991 and starred Felicity Kendal as Flora Crewe.